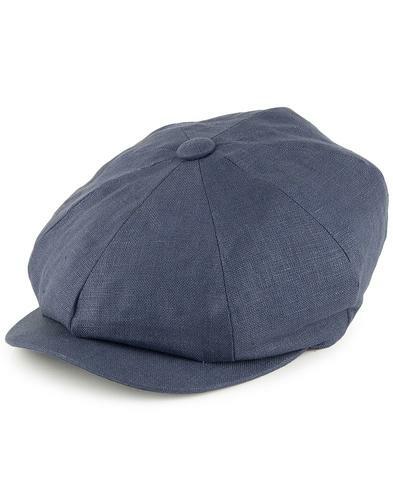 A special collaboration from Failsworth with British fabric mill, Mallalieus for a new summer Hudson Spitfire cap. Grey and silver herringbone silk-cotton fabric, woven at Valley Mills by Mallalieus in Delph, Oldham, England. 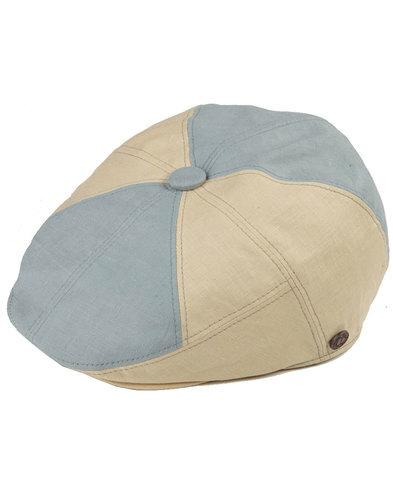 Classic retro Spitfire cap with a summer update, lightweight and fully lined in cotton chambray. Six panel construction with stitch down brim and fixed button detailing to crown. 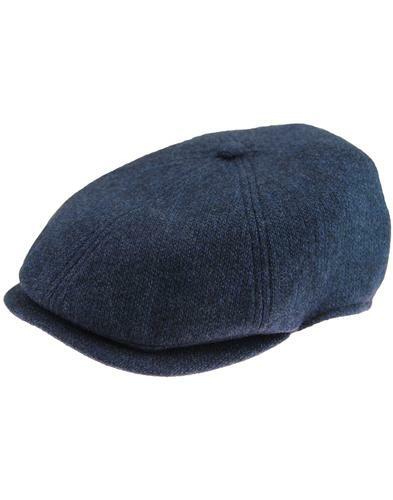 Peaky Blinders retro styling for summer. 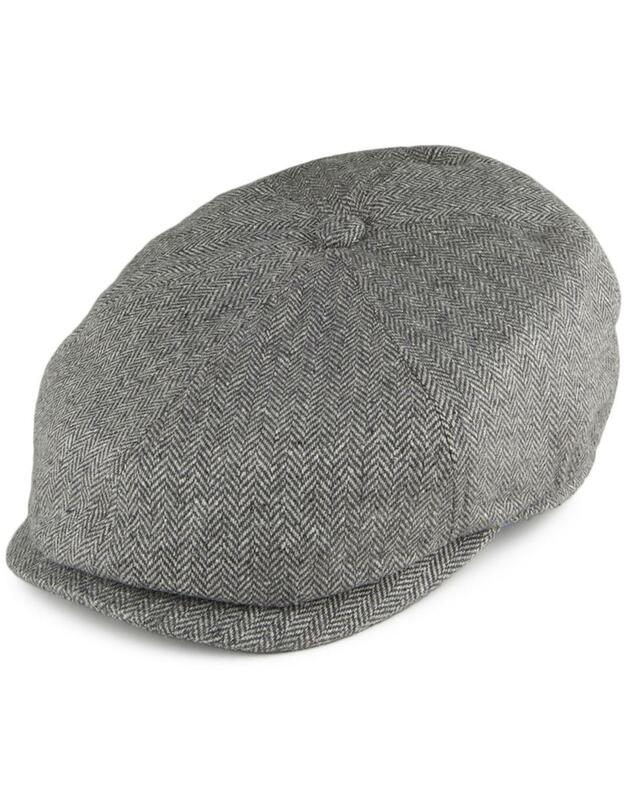 - Failsworth Hudson herringbone retro Spitfire cap in grey. - Valley Mills by Mallalieus fabric - woven in England from premium yarns. - Silk and cotton blend woven fabric. - Blue contrast chambray lining. 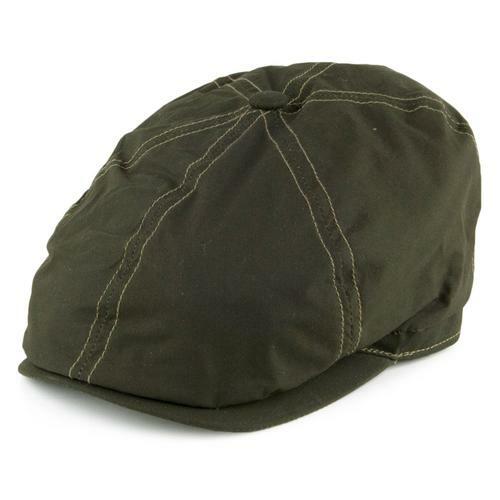 - 6 panel construction with button detail on top. Composition: 50% silk, 50% cotton. Care: Do not wash. Wipe clean only.